1. 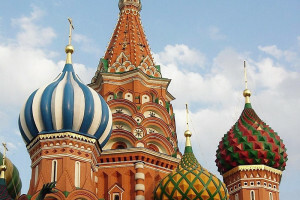 Moscow Times: Life Expectancy in Russia Inches Upward to 73 – Health Ministry Official. 2. TASS: Average life expectancy in Russia rose to 73 years in 2018 – expert. 4. Moscow Times: Most Russians Believe New Law Will Curb ‘Fake News’ – Poll. 5. Meduza: Why is the Kremlin replacing multiple regional governors right before Russia’s fall elections? 6. Vedomosti: Daily views Russia’s ‘isolationist’, ‘repressive’ policies. 9. New York Times: Russia Changes Economic Reporting. The Results Improve. 10. The Nation: Stephen Cohen, The Cold War Ides of March. US Cold Warriors escalate toward actual war with Russia. 11. TASS: Izvestia: Farewell to disarmament: INF collapse may trigger chaos in missile defense. 16. Bloomberg: Kremlin Wonders If Putin Will Follow in Kazakh Leader’s Footsteps. 17. www.raamoprusland.nl: Mark Galeotti, Is Nazarbayev blazing a trail for Putin? 19. Wall Street Journal: China, Russia Stand to Gain From Kazakhstan’s Political Transition. New president aims to maintain nation’s security ties to Moscow, economic links to Beijing. 20. Asia Time: Vijay Prashad, Venezuela’s future depends on China, Russia. 21. Intellinews.com: Ukraine expert forecasts second-round run-off between Zelensky and Poroshenko. 22. Interfax: Zelensky projected to beat any opponent in 2nd round of Ukrainian presidential election. 24. The Hill: Top Ukrainian justice official says US ambassador gave him a do not prosecute list. 25. Reuters: President’s Re-election Pitch Resonates in Heartland of Ukraine’s Revolution. 27. Moscow Times: Konstantin Skorkin, Removed From Russian Influence, Ukraine Election Is Unpredictable on Its Own Terms. Russia’s role in its neighbor’s elections has changed for good. 29. Kyiv Post: Top U.S. think tanks discuss Crimea after five years of Russian occupation. 30. The Hill: John Solomon, As Russia collusion fades, Ukrainian plot to help Clinton emerges.